Our practice (Employment Law Team) is comprised of a team of highly experienced attorneys with years of experience in representing clients in the employment field. 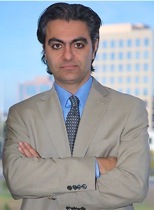 Houman "Roman" Fakhimi, the founding member of the firm, was previously the General Counsel to STEC, Inc., a publicly traded company and in that position oversaw the companies Human Resources department and advised the board of directors as to issues related to employment issues of over 400 employees. Since establishing Employment Law Team, Mr. Fakhimi has used the knowledge gained from representing a major corporation to representing employees and applicants as well as other local businesses. Mr. Fakhimi has successfully litigated and tried overtime, discrimination, retaliation and non-payment of wages cases. Houman has also been a featured attorney on a number of legal and business articles ( see Bender's California Labor & Employment Bulletin, Vol 2008, No.1, January 2008 and Finance Monthly, March 2011).